I have always known that Dead Sea Mud was beneficial to your skin but I never had the opportunity to try the product. Thanks to Spa's Premium, I had the opportunity to try the product. Let me tell you a little bit about the product (As per Amazon). 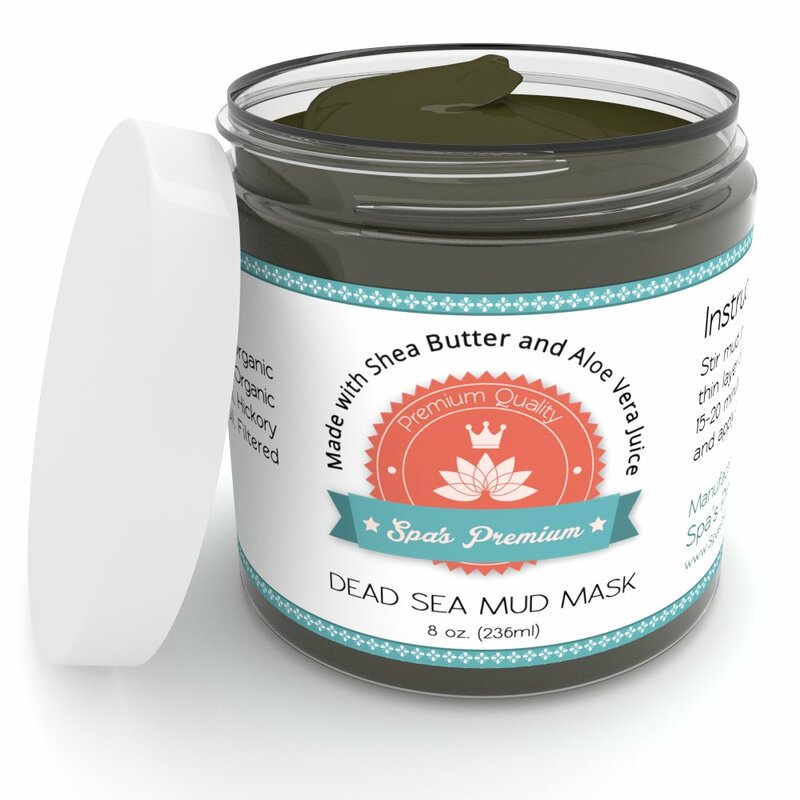 Dead Sea Mud Mask with Six Organic All-Natural Extracts to not only make your skin look great, but reduce signs of aging and help heal your skin - Shea Butter, Aloe Vera Juice, Sunflower Oil, Jojoba Oil, Hickory Bark Extract and Calendula Oil. Not just for your face - this Dead Sea Mud Mask can be used wherever you have skin that needs treatment such as for back acne, dry ankles and cracked elbows! Comes in a convenient, easy to pack container, so you can take your Dead Sea Mud Mask with you everywhere - like camping, traveling or on vacation, and it's easily washed off so that you can use it anywhere! The product was very easy to apply and felt very cool. The texture reminded me of pudding. It was a bit runny until stirred. A little goes a long way. At first it it felt wet and slimy but it dried very quickly. I could feel the pulling on my skin as it dried. I even tried it on my elbows and ankles with good results. It rinsed off easily after I kept it on for 15 minutes. The tight feeling remained for a while but my skin was soft and refreshed. I had used it several times and still have plenty in the jar. The Spa's Premium Dead Sea Mud Mask. retails on Amazon for $19.95 for an 8 ounce job. I was sent a sample of the product for my honest review and I was not compensated for my review.